Joel Donnar is in great form in 2018. 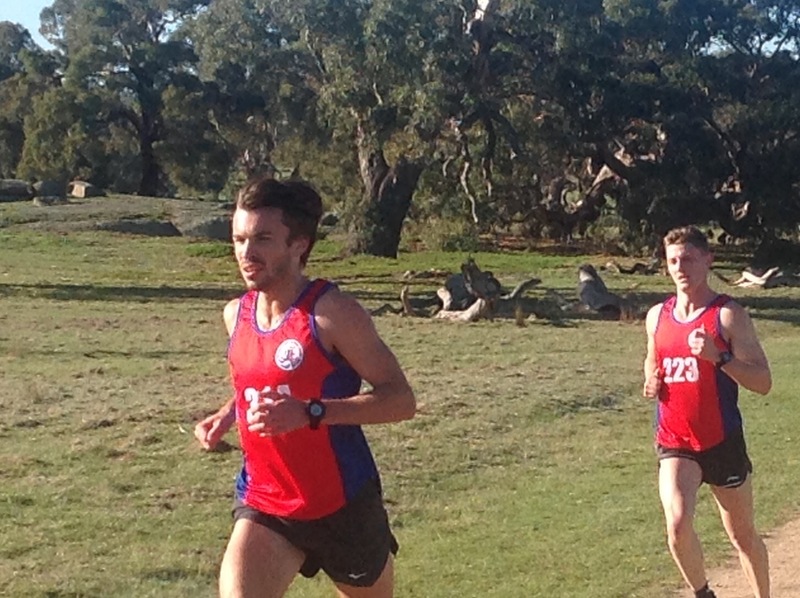 The Victorian Cross Country League calendar returned to parkrun for weeks eleven and twelve with Gardiners Creek producing both winners. Joel Donnar (23rd June) scorched around the track to run the fastest time of 16:05, setting a new Gardiner’s Creek record. Joel finished with a twenty second advantage over Craig Harris (18:20), competing at the Mullum Mullum venue, and Leon Brooks from Frog Hollow. Not to be out done Craig ventured to Gardiners Creek the following Saturday (30th June) and recorded a run of 18:32 to turn the table on Joel for a three second victory. Joel, racing at the Albert Park, improved his time to 15:40 but had to settle for a gallant second place. Carl Kennedy from Coburg Lake was in third place. The VCCL headed to Sandown Park on Saturday 7th July for the Athletics Victoria 6.2km relays with a team of five in Division four and four runners in their Division seven team. Unfortunately, due to inclement weather, the event was reduced to 3.1km per leg. The div four team, consisting of Michael Marantelli, Oscar Robinson, Julian Harris, Dan Lawlor and Joel Donnar finished second overall to St Kevins and in doing so maintained the lead over their main competition, St Stephen’s. In division seven VCCL again finished second, this time to Bendigo Region. The team, consisting of Craig Harris, Leon Brooks, Fraser Murray and David Page, also maintained their position on top of the division table. The Victorian Cross Country League event held within the relays, and open to VCCL members regardless of AV club affiliation, was won by Irene James. Irene, having her best season, had a comfortable margin of fifteen seconds over her closest rival Craig Harris, to record her third win for the winter. Fastest times of the day went to Michael Marantelli (9:04) and Joel Donnar (9:19). This Sunday at 10am is a club race, the 10km handicap at Braeside. Then the following Sunday, 22nd July the Club will be represented in the Athletics Victoria 10km at Albert Park. by Brian Marantelli on Wednesday, 11 July, 2018.